It’s that time again for Festival of Genomics – West Coast edition. The DNAnexus team will be making the journey down to perpetually-sunny San Diego to take part in all the fun. If you’re going to the Festival, visit us at booth #444 to say hi and discuss our latest projects, datasets, and tools. We’re especially looking forward to joining in the excitement surrounding the precisionFDA App-a-thon that was announced yesterday at the Stanford Medicine X conference. This new feature will allow anyone to organize their own app-a-thon, where they can work together with their peers, collaborators, or friends to add their favorite NGS software to the precisionFDA app library. By contributing apps to precisionFDA, these app-a-thons help promote NGS software and make it easier for the community to discover and run them on the cloud or locally on portable Linux containers. If you’re going to the Festival of Genomics, come to the PrecisionFDA App-a-thon Kickoff event, hosted in the DNAnexus booth, to learn how you can contribute to precisionFDA’s platform and advance regulatory science. What is the precisionFDA App-a-thon? What is a precisionFDA app? Why organize or participate in an app-a-thon? The first 10 people that pledge to host a precisionFDA App-a-thon will earn a precisionFDA t-shirt! We will also be hosting partner hours with Station X and BioNano Genomics in the DNAnexus booth. 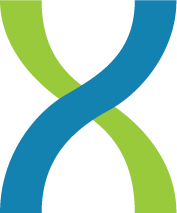 Station X’s GenePool® and the DNAnexus Platform provide an end-to-end solution in genome informatics, from raw data to clinically actionable reports. Researchers can now store, manage, analyze, interpret and report on clinical findings with an integrated solution in a secure and collaborative environment. Come see the demo of DNAnexus and Station X to find out how you can accelerate your path to meaningful results. The hummingbird flies to the cloud! Come explore the genome of a colorful bird that beats its wings at a rate of 80 beats per second. We will be hosting BioNano in our booth, showcasing BioNano’s best-in-class de novo assembly and hybrid scaffolding pipelines and PacBio data with DNAnexus. Please contact us if you’d like to meet in San Diego, and stop by our booth (#444) to receive a demo. Let the Festival begin!